Cost: $18/students; $23/military and seniors; $25/adults. Tickets available through www.spokanecivictheatre.com. Note: To save $5, use code BROADWAY when buying tickets. Musical revues are nothing new for Spokane Civic Theatre, but “Broadway, Beat by Beat” isn’t exactly like other revues. Sure, once the performers take the stage, they’ll perform Broadway hit after Broadway hit, either solo or as part of a duet or group. But “Broadway, Beat by Beat” is a show for the performers, by the performers. During auditions, creative director Jake Schaefer and music director Henry McNulty asked those auditioning to suggest a few songs they’d like to see included in the show. Schaefer and McNulty suggested a few pieces themselves, but the majority of the song selections came from those performing them. Schaefer and McNulty gave the revue a title that was intentionally wide in scope so they “didn’t have to do any round-peg-into-square-hole work,” Schaefer said. After evaluating the pieces they had to work with, Schaefer and McNulty let the songs dictate the setlist. “Broadway, Beat by Beat” is, for the most part, ballad-free, so those who suggested a ballad and an uptempo number were often assigned the latter piece. The “Broadway, Beat by Beat” company features Marlee Andrews, Maddie Burgess, Piper Burney, Sarah Dahmen, Jameson Elton, César Galvan, Whitney Huskey, Lara James, Karlin Kahler, Elizabeth Martin, Quincy McCune, Scott Miller, Aubree Peterson, Heidi Santiago, Stacia Scharff, Jim Swoboda, Jonah Taylor and Logan West. 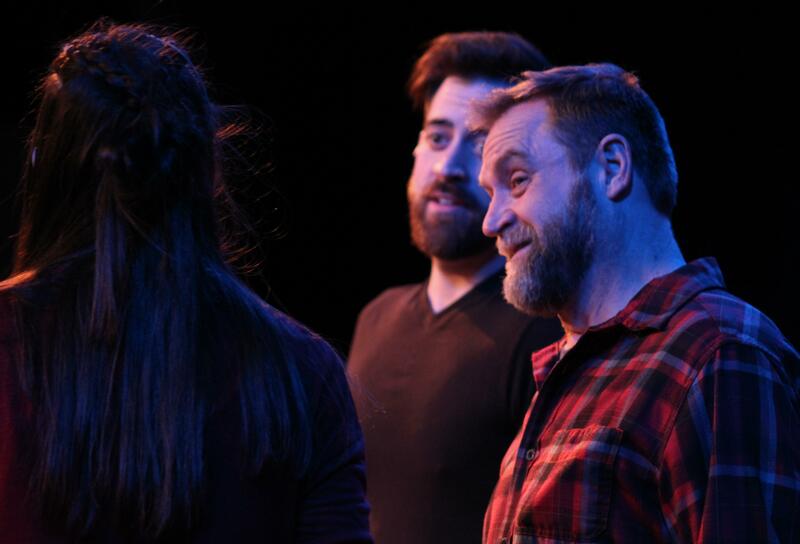 Closing the show is a special piece called “Being Human,” which was written by McNulty and the participants of last summer’s Radar, a week-long training program for high school and college students. Each morning, a group of students worked with McNulty on the music. The other group worked with Schafer on the story. At the end of the program, the group performed their original script and song, which closed the show. Schaefer, who directed many of the solos and “Being Human,” split directing duties with the likes of Kathie Doyle-Lipe, who directed “Mr. Sandman,” and Troy Nickerson, who directed a few company pieces and the opening number. But ultimately, “Broadway, Beat by Beat” comes back to the performers, who’ve anchored the show even before rehearsals began with their song suggestions. Published: Feb. 21, 2019, 2:21 p.m. Updated: Feb. 21, 2019, 2:22 p.m.